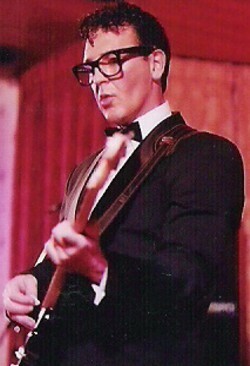 Welcome to the UK's No 1 Buddy Holly Tribute Act! 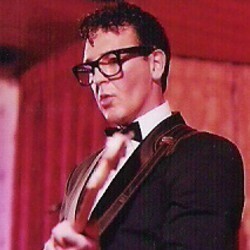 Alan Becks looks and sounds like Buddy Holly, Alan's extraordinary ability and portrayal of Buddy Holly is exclusively available to you and is guaranteed to mesmerise your audience with his fabulous impersonation of one of the world's most popular icons. This amazing tribute show dedicated to "Rock 'N' Roll" Mr Buddy Holly will take you back in time to experience that nostalgic era once again and bring a sparkle and a touch of class to your venue with a superb mix of Buddy's classic songs.